Hey there, loves! 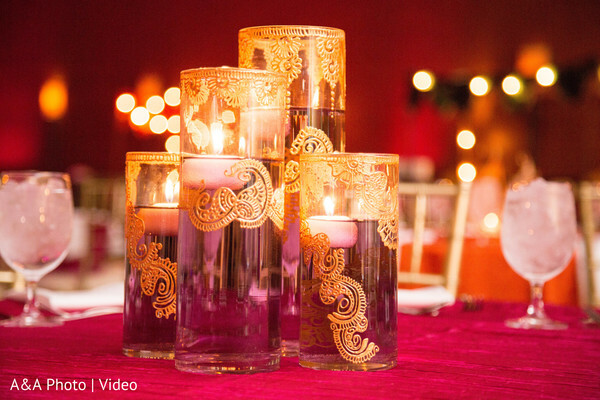 We have prepared a beautiful two-part inspiring treat today, featuring Salva and Farhan! 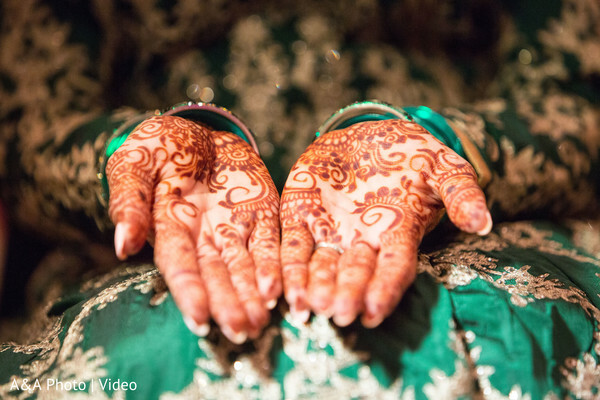 Today’s couple had a fabulous traditional Pakistani wedding celebration, fully captured by A&A Video Productions. 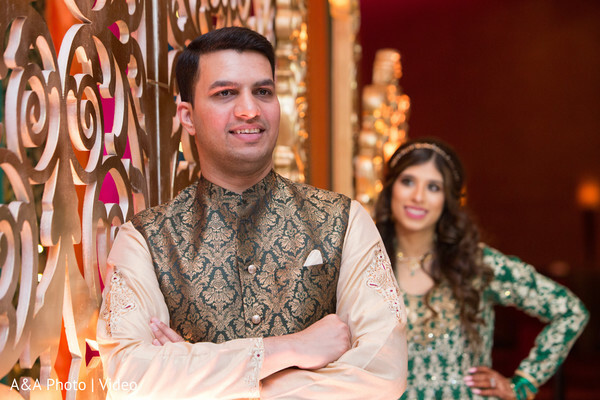 For now, I’m excited to share the couple’s vibrant Sangeet night! 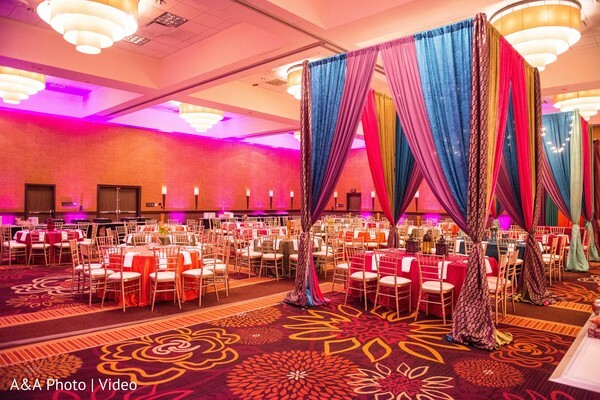 This splendid event was held at the Hyatt Regency Austin and it was a dazzling pre-wedding function of traditions and color. 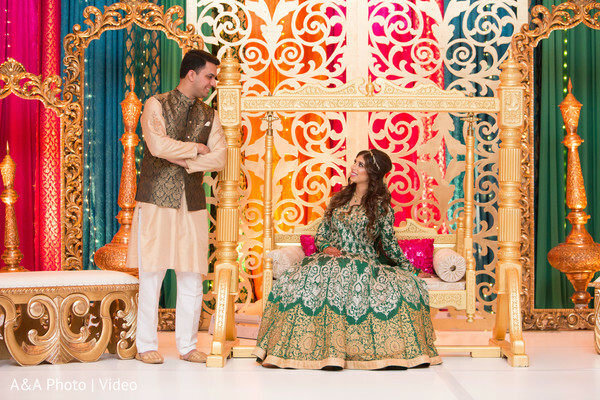 Here, the couple and their loved ones danced amidst lavishly-draped kaleidoscopic fabrics designed by the celebrated décor firm Wedding Decor By Faiza. 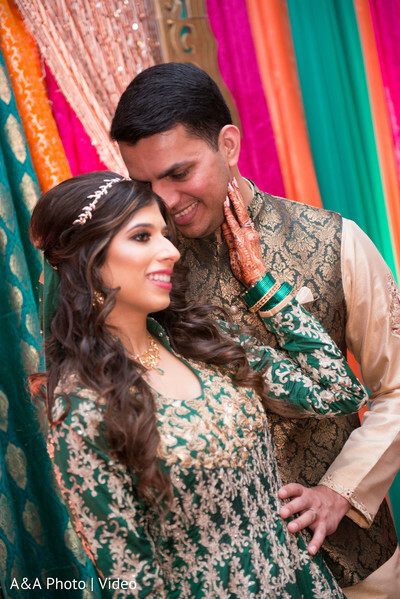 Our Maharani Salva enlisted Ms Painted Lady to create a romantic loose hairstyle that simply looked enchanting with her delicate hairpiece and her stunning emerald green attire. Guests filled up their cups with Austin Chai Wala’s delicious beverages that complemented perfectly Taj Palace’s traditional food and that together made an unforgettable combination! Relive all the best of this vivid celebration in our full gallery! 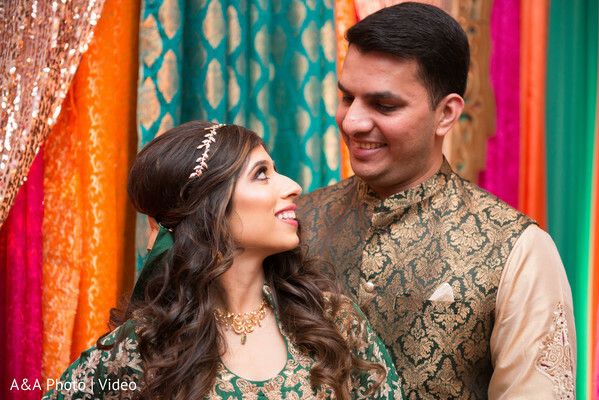 Our bride and groom are ready to celebrate right after their Mehndi night! Follow along for more details of the reception! 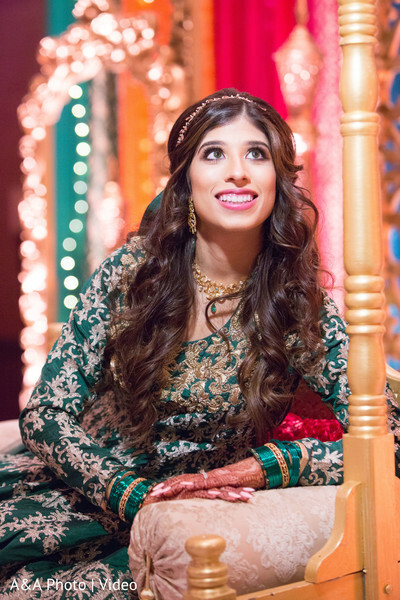 DJ Riz Entertainment and Wedding Decor By Faiza are members of the Platinum Guide. Love what you see? Explore their portfolios.